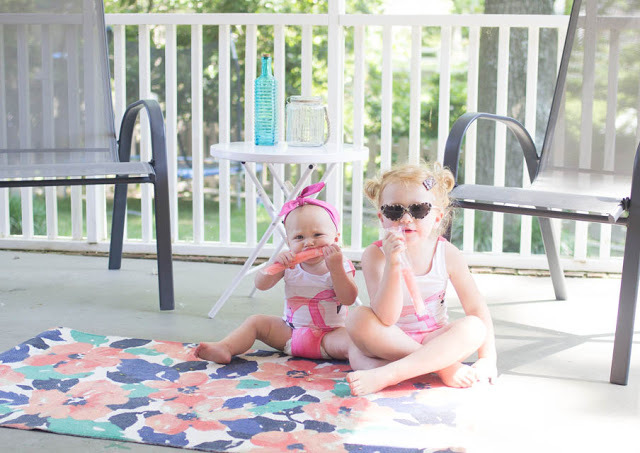 I have loved seeing all of your porch photos of the girls! 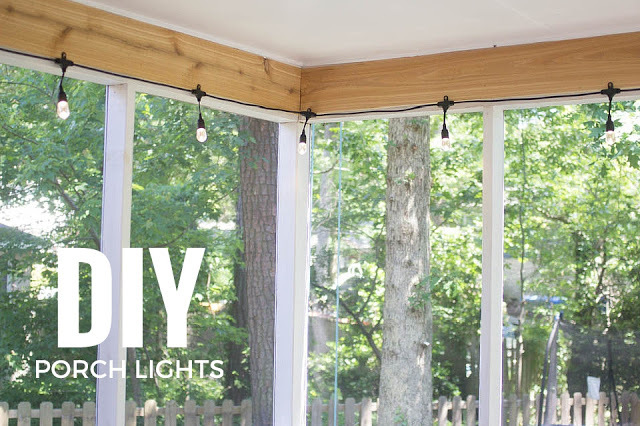 We have been wanting to get some of those lights and you have just inspired me to do that this weekend. The wood accent is awesome and definitely adds a rustic feel. 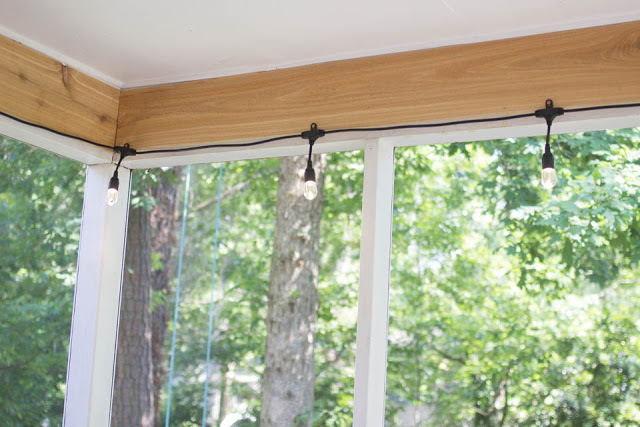 Your porch is so dreamy. 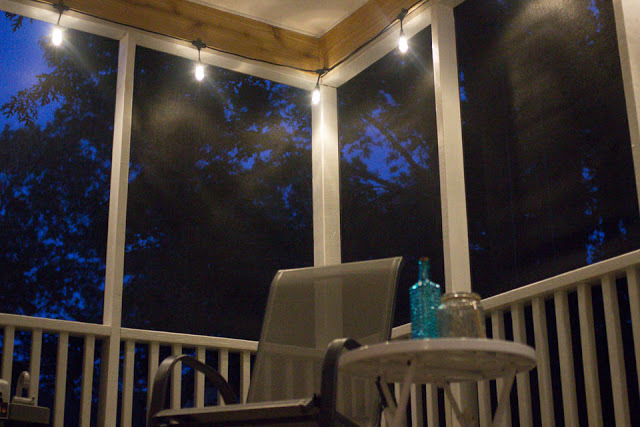 We added string lights (+ a dimmer) to our covered deck this spring and I love the ambiance they create! 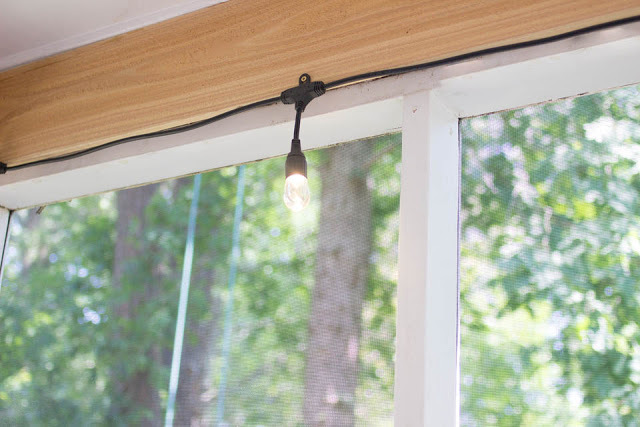 These sound pretty fabulous though–I mean, non-breakable and you never have to replace the bulbs?! So cool! This would look awesome in the backyard! 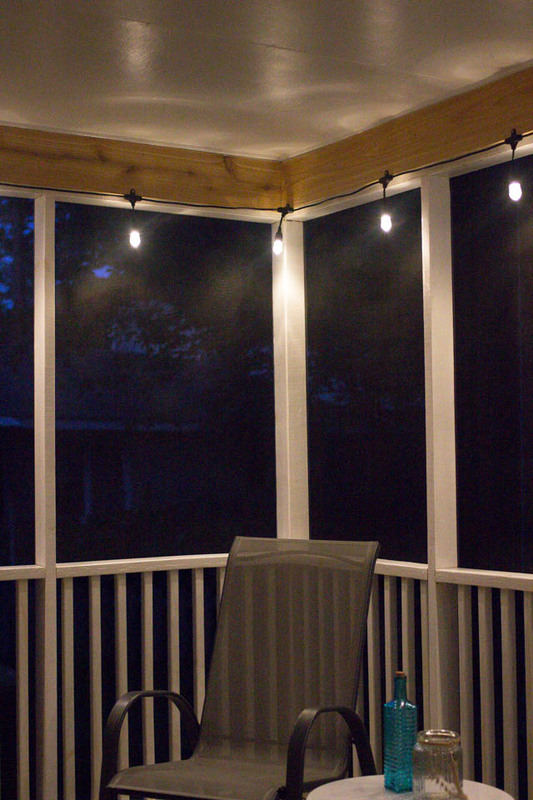 We just added lights to our back deck and it totally changes the atmosphere! Love how you upgraded your space!